Image extracted from the 1900 publication "History and Description of Picturesque Philippines." 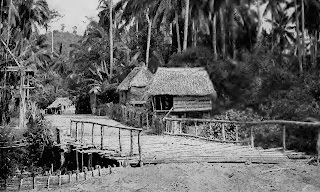 The Philippine-American War having ended in April of 1902, and with the Province of Batangas continuing to suffer its aftermath, something exacerbated by locust infestations, a rinderpest plague and a prolonged drought, the American colonial government turned its attention to improving the economic conditions in the province by, among other things, the construction of roads and bridges. AN ACT authorizing the Insular Auditor to transfer to the general revenues in the Insular Treasury the sum of ﬁve thousand three hundred and thirty-one dollars and eighty cents, United States currency, and two thousand and forty-ﬁve dollars and seventy-one cents, Mexican currency, now standing on his books to the credit of the War Emergency Fund created by Act Numbered Four hundred and eighty-eight, and appropriating a like amount for the benefit of the Province of Batangas to be expen ed by said province in the construction of roads and bridges. SECTION 1. 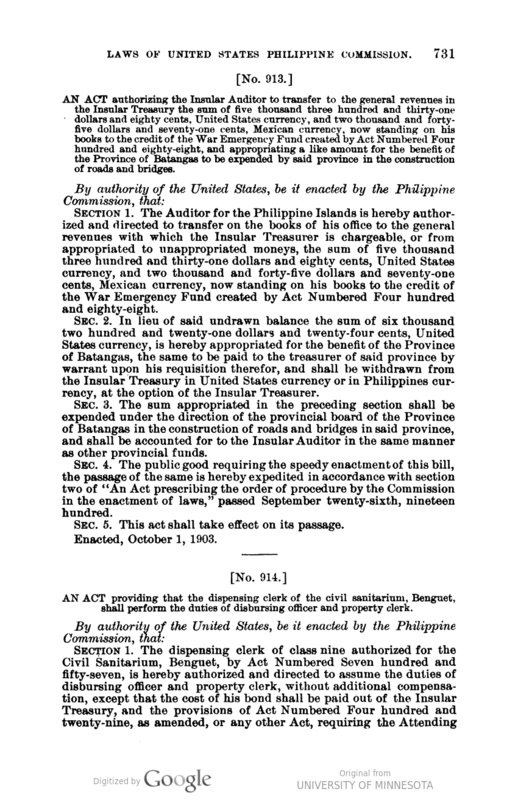 The Auditor for the Philippine Islands is hereby authorized and directed to transfer on the books of his office to the general revenues with which the Insular Treasurer is chargeable, or from appropriated to unappropriated moneys, the sum of ﬁve thousand three hundred and thirty-one dollars and eighty cents, United States currency, and two thousand and forty-ﬁve dollars and seventy-one cents, Mexican currency, now standing on his books to the credit of the War Emergency Fund created by Act Numbered Four hundred and eighty-eight. SEC. 2. 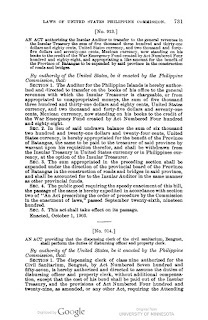 In lieu of said undrawn balance the sum of six thousand two hundred and twenty-one dollars and twenty-four cents, United States currency, is hereby appropriated for the beneﬁt of the Province of Batangas, the same to be paid to the treasurer of said province by warrant upon his requisition therefor, and shall be withdrawn from the Insular Treasury in United Stems currency or in Philippines currency, at the option of the Insular Treasurer. SEC. 3. The sum appropriated in the preceding section shall be expended under the direction of the provincial board of the Province of Batangas in the construction of roads and bridges in said province, and shall be accounted for to the Insular Auditor in the same manner as other provincial funds. SEC. 4. The public good requiring the speedy enactmentof this bill, the passage of the same is hereby expedited in accordance with section two of “An Act prescribing the order of procedure by the Commission in the enactment of laws," passed September twenty-sixth, nineteen hundred. “Acts of the Philippine Commission 425-949,” online at HathiTrust.